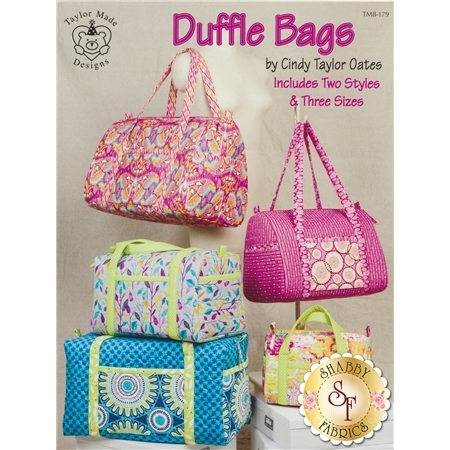 Use your favorite fabrics and create these adorable duffle bags designed by Cindy Taylor Oates! This pattern book features two styles of duffle bags in three different sizes. Make a whole set and travel in style!